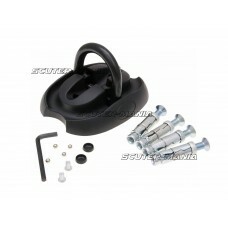 Alarmed disc lock - simple to fit and offers additional security to your motorcycle or scooters that..
Folding wall/floor anchor made of special hardened steel with 14mm diameter. 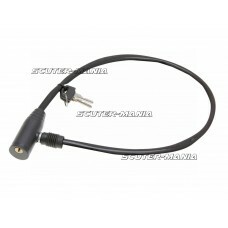 General purpose ground ..
Motorcycle disc lock with 10mm pin for motorcycles and scooters with relevant sized holes. 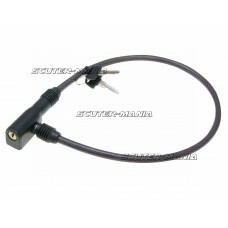 Supplied ..
Scooter disc lock with 5.5mm pin. 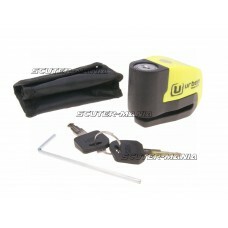 Suitable for scooters with small holes / cut-outs. 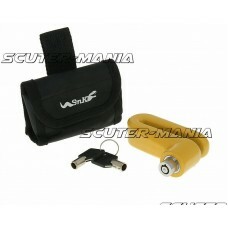 Supplied with p.. 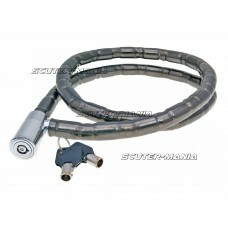 Very robust tank chain lock with flexible rubber sheathing. 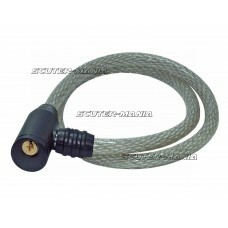 Length: 1.2m / diameter: 18mm. 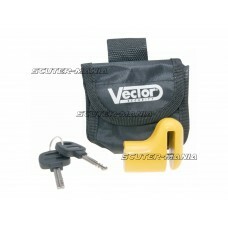 Classic m..
Urban Security lock for fixing on the disc or as a padlock combined with a safety chain. 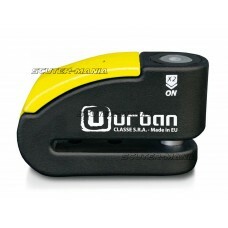 Diameter: 1.. 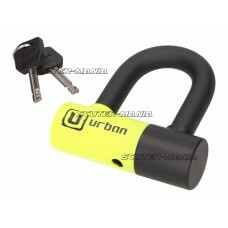 The compact Urban Security lock is 14mm thick and can be fitted wherever the is an appropriate cutou.. 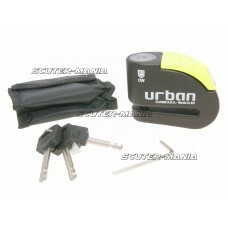 The compact lock from Urban Security is simply attached to a hole in the brake disc (ø5.5mm) and thu.. 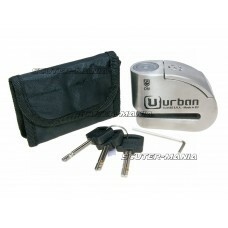 The compact lock from Urban Security is made from stainless steel and is fixed with its 10mm locking.. 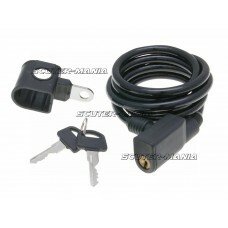 The compact Urban Security lock is 14mm thick, made from non-rust steel and can be fitted wherever t.. 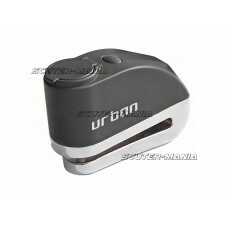 The compact lock from Urban Security is made from stainless steel and is fixed with its 6mm locking ..